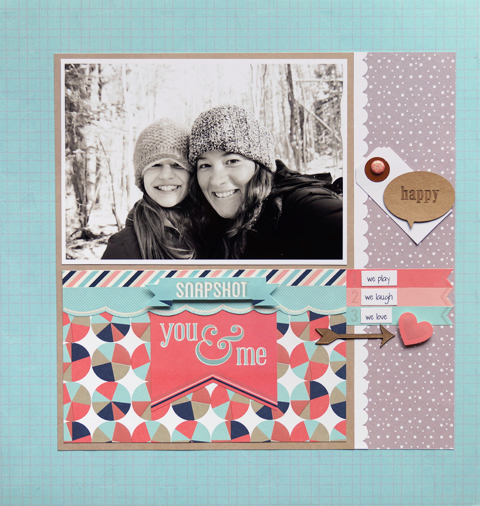 I am so excited to share a layout using the Forever Sassy collection from SEI! When I found out that I was going to get to create with this collection I was so excited. The colors and patterns are so up my alley! I couldn't wait to dive in! 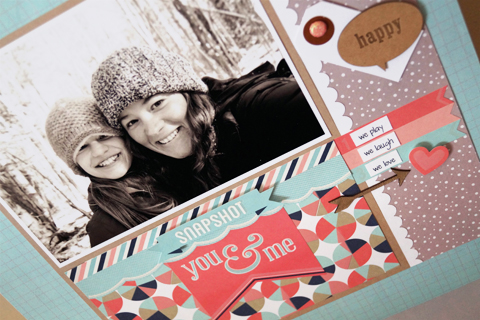 For this layout I opted to print a photo of my daughter and I in a 5 x 7 format since I wanted it to be the focal of the page since the layout title was You & Me. How perfect was that die-cut? 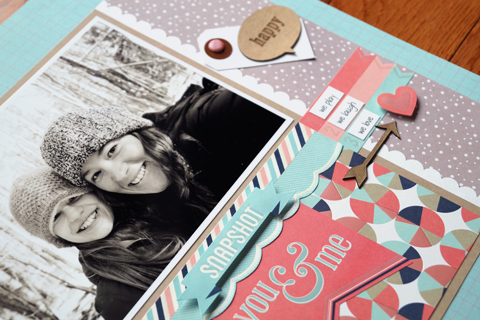 I added some of the border stickers below the photo and added the die-cut sticker below those for my title. Along the side I added more stickers and embellishments for a bit of added interest. I threw in some bits and pieces from other SEI collections as well. They all seemed to coordinate perfectly! GABULOUS! Love the colours in this collection! Great layout! Can't wait for my collection to arrive!